Series: Russians in the USA, Volume 3 The Book is in the Russian language. 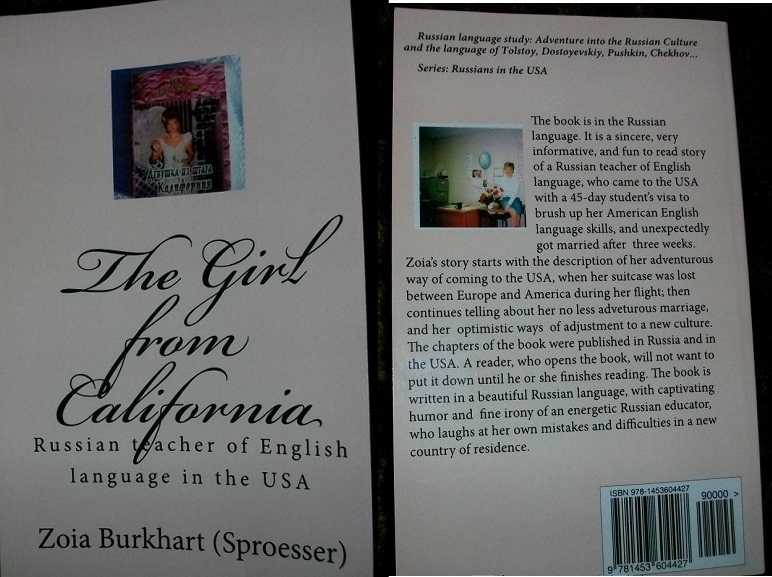 It is a book of stories written by Zoia Sproesser (Burkhart, Eliseeva) from 2007 to 2012. Some of the stories were published in online Russian-English magazines. Yet others were never published before. These are favorite author's stories: about dating and other observations about culture and people in the culture: Russians, Americans, as well as other nationalities. zoiaeliseyevablogs. Simple theme. Powered by Blogger.